← New Novels Week on the way! 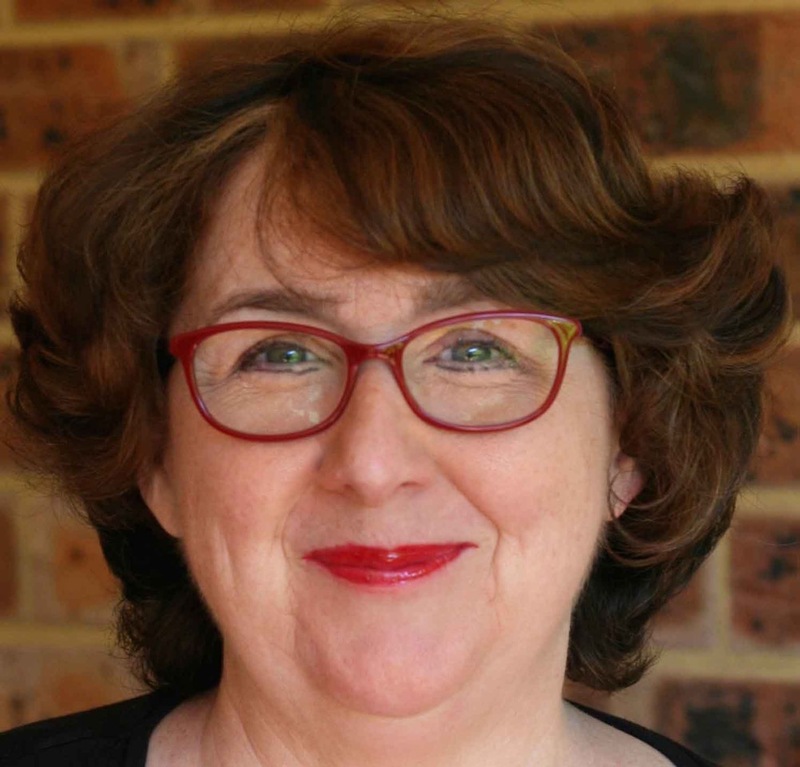 Pamela Hart writes historical fiction, mostly set in Australia. 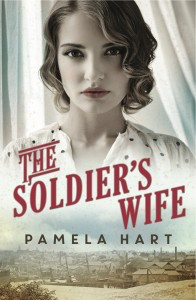 Her latest book is The Soldier’s Wife, set in World War I Sydney. She is also known as Pamela Freeman, an award-winning writer of children’s books and adult fantasy fiction. Pamela’s novel The Black Dress, about the childhood of Mary MacKillop, won the NSW Premier’s History Prize in 2006. Her other awards include two Aurealis Awards for fantasy fiction and the Wilderness Society’s Environment Award, as well as multiple shortlistings for other awards. This year, her non-fiction book for children, Mary’s Australia, is shortlisted for the Children’s Book of the Year Eve Pownall Award (for Australian readers, that means it’s a Book Week book!). I didn’t start writing until I was at university, unlike a lot of people who seem to be writing from their cradles! I studied television and film production at UTS and that involved some creative writing classes – my assignments for those classes were really my first go at writing. I didn’t have any confidence in my ability – I sent one story off to the Women’s Weekly and when that was rejected I concentrated on scriptwriting. Eventually I worked at the ABC in the Children’s and Education Department – what is now ABC Kids. While I was there I started writing stories for the show I was working on, and sent them in to the NSW School Magazine. I sent five, they rejected four – and I thought, Oh, maybe I can do this, so I kept writing stories and they kept printing them. One of the stories was “Betony’s Sunflower”, and that became the last chapter of my first book (as Pamela Freeman), The Willow Tree’s Daughter. My very latest book – published on April 28, just in time for Mother’s Day – is The Soldier’s Wife. It’s the story of Ruby Hawkins, a newly married girl who comes from a country town to Sydney to see her husband, Jimmy, embark for Gallipoli. While he is gone, she gets a job as a bookkeeper in a timber yard – a man’s job. Ruby makes a new life for herself; a full and complicated life with new colleagues, new enemies and unexpected challenges. She is changed by it, of course… and when Jimmy comes home wounded from the Dardanelles, he finds a woman, not the inexperienced country girl he left behind. The story is partly based on my own grandfather’s war record. I wanted to tell the story of the people who were left behind, waiting and dreading the telegram boy. I am not at all good at keeping things tidy. 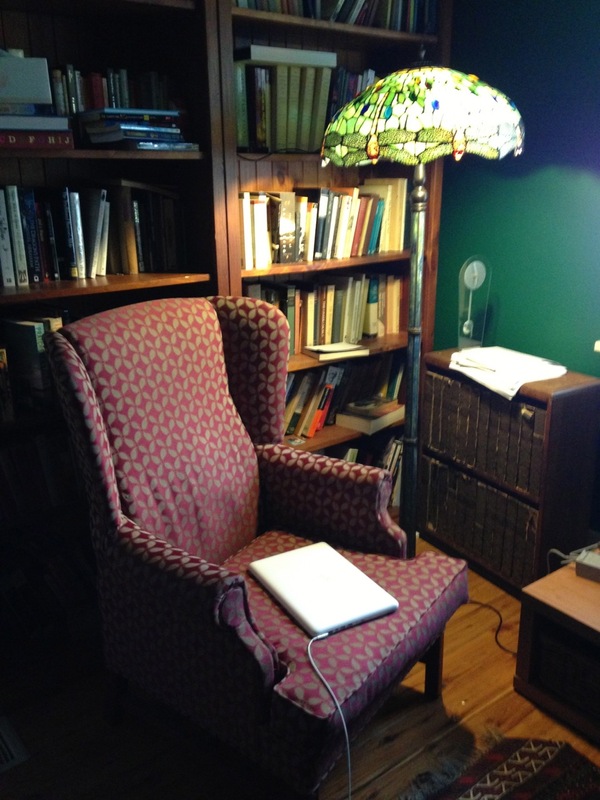 I have an overflowing desk, which is where I do business-related things like work email and tax and answering reader’s emails, and a laptop, which is what I write on – usually sitting cross-legged in an armchair in our tv room/library. I’m a mum, so work has typically fit in around that – and my parents are quite elderly, so I spend some time with them. I also teach at the Australian Writers’ Centre, both face to face (2 nights a week) and online (which takes up my Mondays and Saturday afternoons). Other than that, actually writing the books tends to happen in the afternoons, which is when my brain wakes up. So I try to get stuff like grocery shopping etc done in the mornings. Well, I think about my characters a lot – and talk a lot about them, too (my poor husband!) – and then I just sit down and write the story from start to finish. I do lots of drafts. Lots. And I have many beta readers I depend on. For historical fiction like The Soldier’s Wife, of course I need to do a lot of research. Some of that I do before I begin writing, while the story is taking shape in my head, and some I do as I go along. And some afterwards, when I realize in draft 3 or 4 that I really have to explain how something worked. Fortunately, I love research! Because it’s the most fun you can have with your clothes on? My husband says I’m addicted to it, and I have seen many of my students acquire the same addiction (sometimes I feel like a pusher). It’s true I get cranky if I don’t get to write for a while. If you’re the sort of person who thinks creatively, once you find a way to express that creativity you just can’t stop! Lately, it’s been stories of real people – for The Soldier’s Wife, it was my grandfather and the story of the “groundbreaking women” of World War I, many of whom just wanted to put food on the table. My next book, The War Bride, was inspired by a story I read about a woman who came out from England as a war bride after World War I to find that her husband had abandoned her. That story was in was an autobiography of another war bride (Bride of an Anzac, by Queenie Sunderland, whose marriage was much happier than her friend’s! ), and as soon as I read that chapter I wanted to tell the story. Time pressure is always hard. Not just deadlines, but the daily challenge of fitting everything in. For example, I love to connect with blogs, but that takes time away from writing (and most writers will tell you that they are top procrastinators). The other hard part is that you never know what people are going to think of your work. You try very hard to write the best book you can, and the story comes out of a deep place in you, so naturally you want people to like it – but you can’t make them, and you can guarantee that, no matter what you do, someone will hate it. My most popular and beloved children’s book, Victor’s Quest, was described by a reviewer as “I’d rather roll in the hay with a pitchfork than read this.” Yet that book has been in print 19 years now, and hundreds of kids have written to me to say how much they love it. So you can’t please everyone. That you can’t please everyone? No, seriously, I think I would have liked to know that rejection is just part of the process of being a writer, and you should put on your armour and just send stuff out (after about 10 drafts, that is). I might have more than 28 books under my belt if I’d known that! I’m not sure I have an artistic vision, because I’m not sure I’m an artist. I’m a craftsperson first and an artist second. And I think the difference is that the artist puts themselves first, but a craftsperson puts their patrons first, and in my case my patrons are my readers. Which means that a sentence or a scene which I love but which doesn’t serve the best interests of the reader has to go. So I guess I have a professional vision, which is that I am in service to the story, and the story is my gift to my readers. And, just like any craftsperson, I am prepared to do whatever it takes to produce something good enough for my patrons. My motto is: the difference between an amateur writer and a professional is the number of drafts they’re prepared to do. My job is to give my readers the very best story I am capable of, no matter how much work or fear or effort that entails. In a wider sense, I am hopeful because children are reading more now than they were a generation ago – yes, that surprises everyone, but it’s true, particularly in Australia, thanks to Book Week and the Premier’s Reading Challenges. So my vision for the future is one where story rules, whether that is on tv or film or games or books. Have to start with Jane Austen, right? So, in more or less chronological order: Jane Austen, LM Montgomery, Mary Grant Bruce, Ethel Turner, Dorothy Sayers, Georgette Heyer, Harper Lee (she’d be right next to Austen if we weren’t chronological), Susan Cooper, Ursula Le Guin, James Tiptree Jr (yes, that’s a woman), and then we get into modern authors, which is a problem, because one of the benefits of being a writer is that you get to have writers as friends, and I’d hate to miss anyone out. But I have to mention Wendy Orr, because she got me into this interview! Since you’ve already spoken to a few I would nominate, how about Kim Wilkins aka Kimberly Freeman? And, since I’m an historical novelist, Kate Forsyth! I’m all too familiar with the addictive nature of writing – but glad to hear one of Australia’s greatest authors isn’t stopping anytime soon.